Glistening Waters Luminous Lagoon is one of the most incredible spots in the world as well as being the only natural night-time attraction in Jamaica. Embark on a remarkable boat tour out onto the bay and witness the bio-luminescent phenomenon that will leave you in awe and have you remembering this experience for the rest of your life. 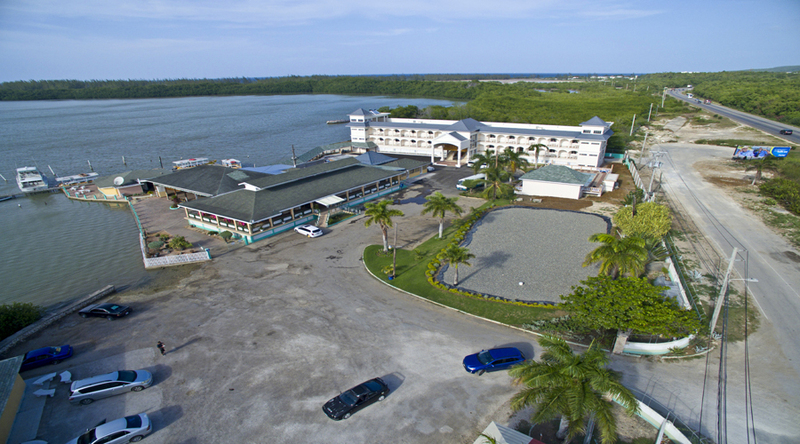 Enjoy our delicious Jamaican restaurant, our newly constructed hotel and be sure to experience our Luminous Lagoon tour while visiting the Falmouth area. We also arrange island tours. 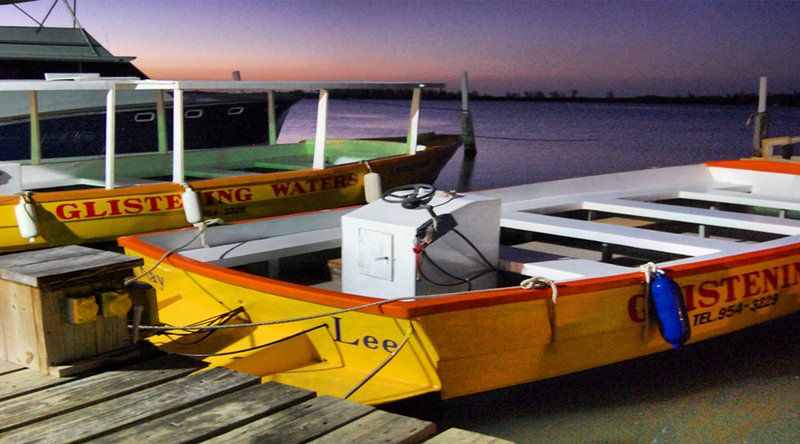 Come visit us while staying in Jamaica and enjoy our popular Jamaican restaurant and take an amazing night-time tour of the Luminous Lagoon. 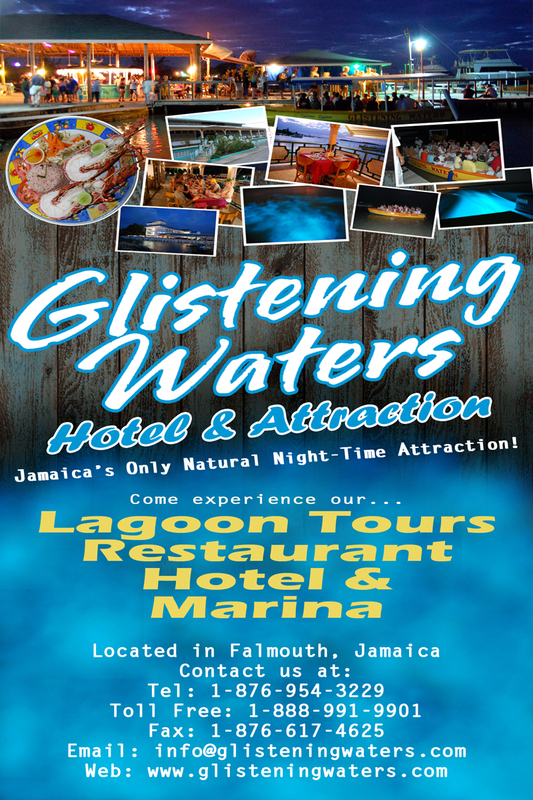 This natural wonder is a phosphorescent lagoon located in Falmouth, where guests are taken on a beautiful night time boat cruise along the bay. 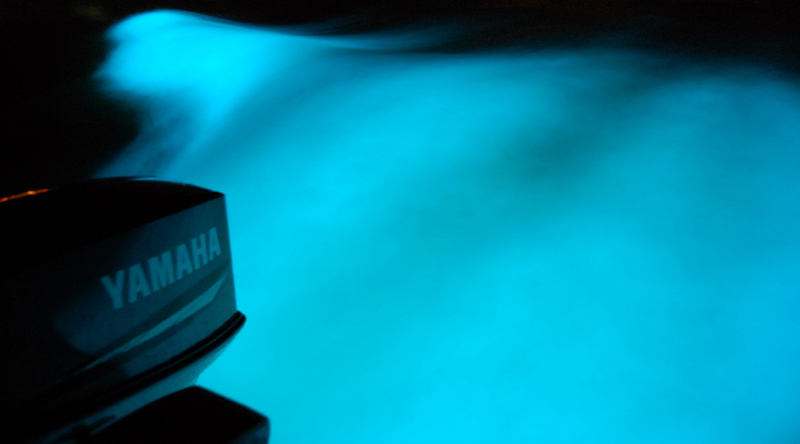 When disturbed, the micro-organisms in the water glow and create and eerie, glistening light. This phenomenon is said to only occur in a handful of places around the world, with Jamaica being one of the brightest and most illuminating of all! There is a scientific explanation to what goes on here, but you’ve got to come see for yourself and experience this amazing act of nature. Glistening Waters Luminous Lagoon is one of the most luminescent spots in the world to witness such a crazy phenomenon. Come see the natural beauty that Mother Nature has to offer for yourself. Often described as ‘Amazing’ and ‘Unbelievable’, this glowing lagoon will amaze you and fill you with wonder and excitement! Truly, an unforgettable experience you will remember forever! Book a tour directly through us, your hotel front desk, any private driver or give us a call and we’ll arrange everything. Tour Prices: Tours of the Luminous Lagoon cost $25 for adults, $12.50 for children under 12. What’s Offered at Glistening Waters? 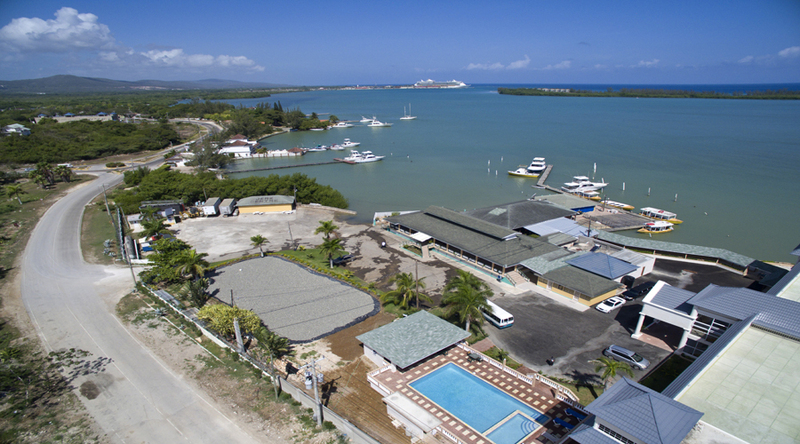 We offer FREE daily transportation to Glistening Waters tour attraction from Montego Bay and Runaway Bay areas for groups of 6 or more guests. Please call or contact us for complete details on this offer. *Restrictions apply. Call our customer service team at the numbers below and speak with one of our helpful representatives who will help you with all of your booking needs. Follow Glistening Waters online to see our latest photos on Instagram and Facebook as well as our latest reviews. Get the best rates, with no middleman. No trip booking fees. Save money! Rated #1 for Jamaica on Trip Advisor. 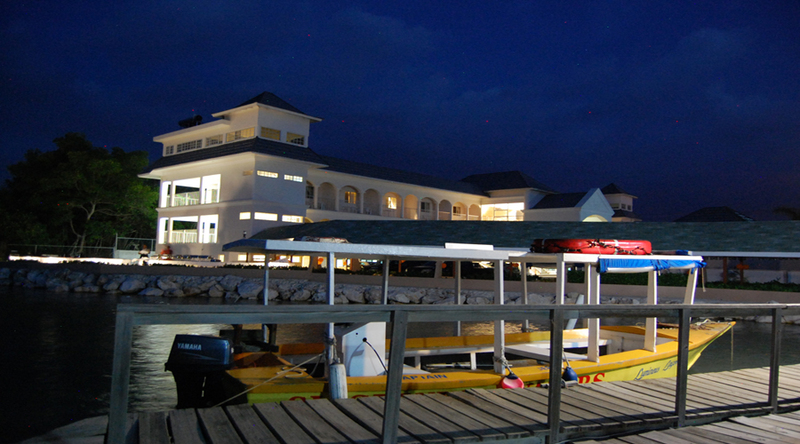 We are the only natural night-time attraction in Jamaica! Come experience the magic! Come see what we're all about! The Luminous Lagoon will captivate you. 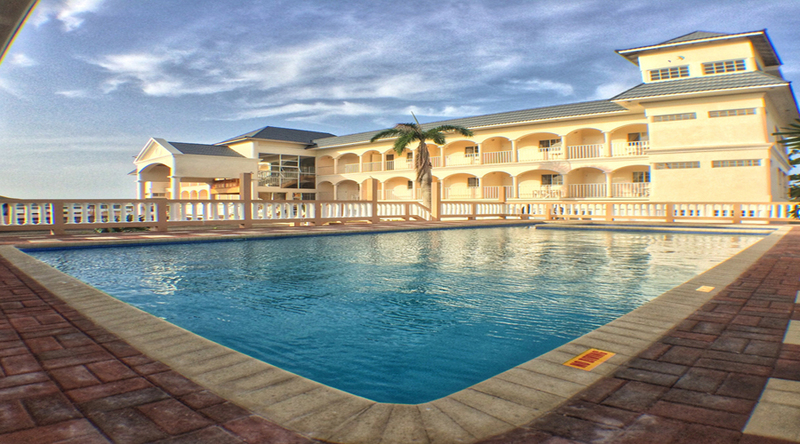 We offer 28 nice rooms overlooking the famous Jamaican Luminous Lagoon. 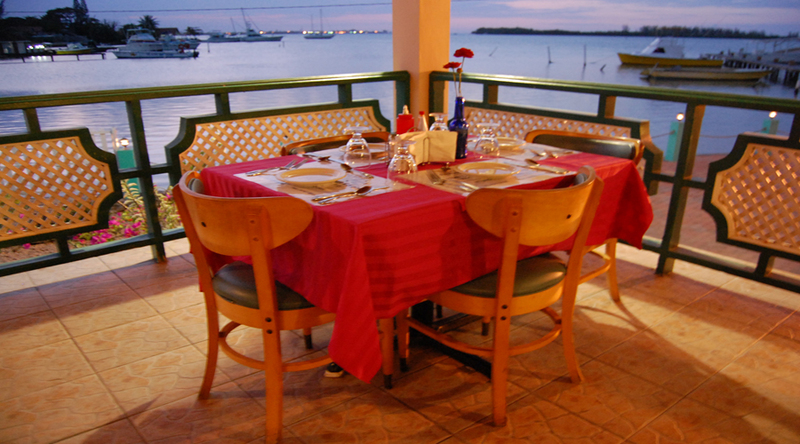 Come taste all the delicious Jamaican food dishes our chefs create at the famous Glistening Waters restaurant. Call or email us, anytime, for help. Get 24-hour support before, during, and after your vacation to Jamaica. Just call.